Wall Street will probably like President Trump's pick of Larry Kudlow as the next head of the National Economic Council. But the choice might also be at odds with Trump's increasingly protectionist stance on trade. 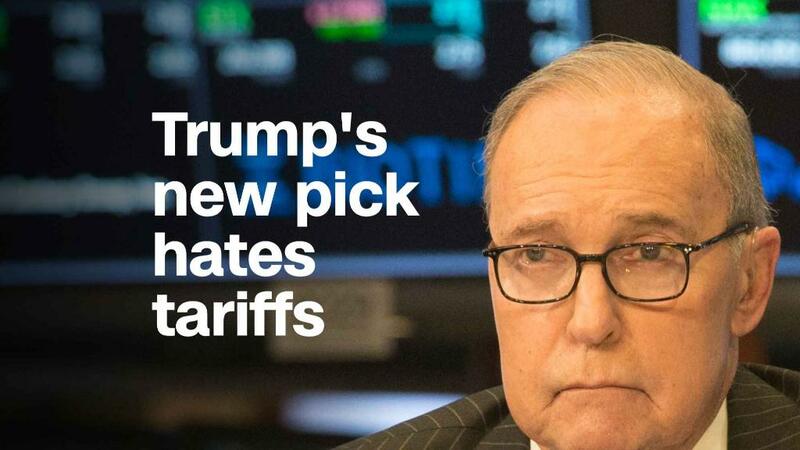 Two sources familiar with the decision told CNN on Wednesday that Trump would name Kudlow, a conservative CNBC commentator, to replace Gary Cohn, who resigned last week after a disagreement with Trump over tariffs. In fact, Kudlow co-wrote an editorial for CNBC and the National Review earlier this month with prominent economists Arthur Laffer and Stephen Moore, a CNN contributor, urging Trump to consider that tariffs will wind up as taxes on American consumers. — CNN's Kevin Liptak and Dan Merica contributed to this report.